I’ve covered Mary J. so many times I’m not sure I have anything new to say about her, other than I love her and will always jump at the chance to shoot her performing. She’s always on point and her set headlining the Verizon center (after an opening set by D’Angelo) was more of the same. 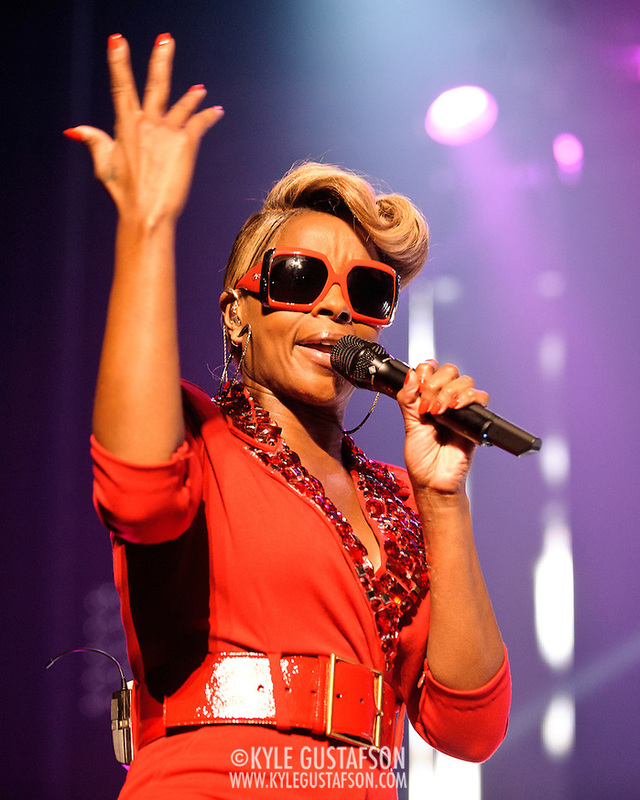 Mary J. only allows two songs but if you work quick then you can get all the shots you need from that short time. She always has the best stage set up, mostly because she doesn’t use front stage monitors, so there are great sight lines everywhere. The two songs we got were a cover of “Ain’t Nobody” that sounded AMAZING and her hit “Family Affair.” And after that two song tour de force, we were escorted out. Until Next, Mary J.